Landscapers and contractors are demanding more cordless alternatives to gas-powered outdoor power equipment. Makita is meeting demand with an expanding line of cordless ope that includes the 18V X2 LXT Lithium-Ion (36V) Brushless cordless couple shaft power head. With zero emissions, lower noise and maximum versatility, the power head is a welcome solution for a range of trimming and cutting applications. It’s powered by two 18V LXT batteries (sold separately) for maximum performance and run time without the hassles of gas and without leaving the 18V battery platform. The power head is compatible with a variety of optional couple shaft attachments, with a lever style lock system for quick tool-less installation and replacement. It can be used with multiple attachments for trimming, edging, cultivating, and brush cutting (sold separately). Note that kit XUX01ZM5 includes string trimmer attachment. Makita’s efficient BL Brushless Motor is electronically controlled to optimize battery energy use for up to 50% longer run time per battery charge than similar non-brushless tools. Electronic controls efficiently use battery energy to match the changing demands of the application for increased power and speed when needed. 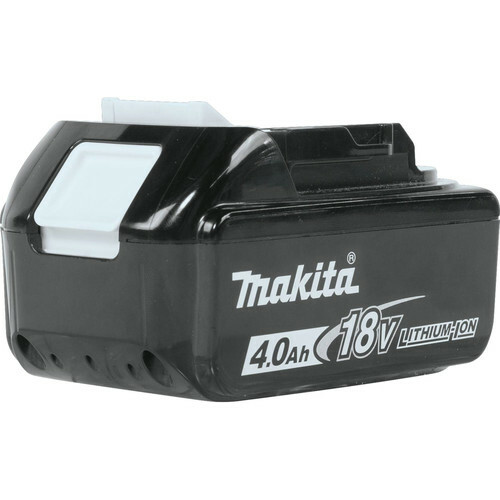 With no carbon brushes, the Makita BL Brushless Motor runs cooler and more efficiently for longer life. For added protection, the electronic torque control turns the motor off if the rotation speed suddenly slows down or stops, and the overheat warning system turns on an indicator light and is engineered to automatically stop the motor. Added features include a variable speed trigger, and reverse (clockwise) rotation system that allows the operator to quickly clear the brush cutter head of entangled weed and Grass. It features Makita extreme protection technology (XPT). XPT is a protective seal inside the tool, and is engineered for improved operation in harsh conditions by channeling water and dust from key internal components. What size trimmer line can be used?